December | 2015 | You write what....? It’s World AIDS Day Once Again. So, I looked back on my post from last year on this day. Not much has changed, I’m even working on the same story, although its almost done now. I tried to explain to someone today why I feel the need to write about this issue and I had a hard time finding the words. I think back to the 80’s when the epidemic seemed to sweep through the western world like a brush fire. It was everywhere, on the news, in the papers but the first time I heard of it, it was being called “gay cancer”. I was horrified by the term and something told me that it wasn’t right, but I was too young and foolish to go looking for the proper answers. I was stupid back then. I wasn’t always safe. I was convinced in my early 20’s that no one I knew or could possibly meet would ever be infected. I didn’t hang out with IV drug users and to my knowledge, I’d never actually met anyone who was gay. I was living with a false sense of security that makes me cringe with embarrassment when I think about it. I was on the pill so I didn’t need to worry about being pregnant, right? Sigh, like I said, stupid. If my daughter were to behave like that, I would beat her over the head with medical books until she realized the error of her ways. I don’t think there’s anything wrong with hoping that she will learn from my mistakes. I showed her pictures of the AIDS Quilt Memorial today for the first time. She was shocked at how big it was and once she realized what it was, she got a little teary-eyed. She also love the idea of the quilt and thought it was an amazing way to remember someone you loved and lost to this terrible disease. If you’ve never seen it, check it out here! I remember seeing the Ryan White story back in 1989 and thinking that if only the governments of the world had moved sooner and taken the precautions that were necessary, then maybe that little boy wouldn’t have gotten sick. So many people died because of the fear and arrogance of government officials who decided that a disease seemed to target gay men wasn’t something they needed to worry about. You can read more about Ryan’s story here. I didn’t realize how bad it was until “And the Band Played On” came out in 1993. It was based on a book by Randy Shilts and as I watched it, I grew horrified at how the gay community had been treated and how all the trusted institutions allowed it to run rampant. People were scared…too scared to talk, so many gay men still in hiding from the discrimination they faced on a daily basis. So the disease kept spreading because it’s hard to help people who haven’t yet figure out how to help themselves. I recommend this movie to anyone who wasn’t around to see the way this whole thing unfolded. You can find the book here and the movie is available on Amazon as well. The good thing about HIV now, is that it’s not the death sentence it used to be. First of all, it’s preventable. PReP is a medication that seems to be stopping the transmission of the disease and while it’s not a cure, it’s a great start. You can find more information about it here. And there is Antiretroviral therapy (ART) for people who are already infected. By taking their meds and living a healthy lifestyle, people who are HIV positive are living almost normal life-spans. There are many who think that a cure is not only possible, but probable and coming a lot sooner than most people think. I hope they are right. Unfortunately, the stigma that is attached to being HIV+ is still going strong and I’m amazed at the misinformation that people still have in this day and age. You can’t get infected by hugging or kissing or touching and I can promise you, that you’ve probably met someone who is HIV positive and you don’t even know it. So, go and check out the World Aids Day site and get informed here. Because I’m Canadian, I’m spreading the word in my own country and so you crazy Canuks can check out this site. 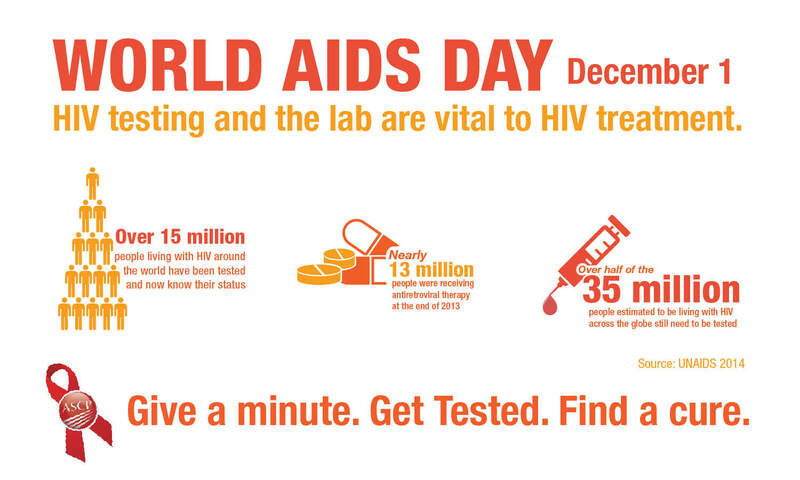 And for everyone’s sake, get tested….knowing your status is the most important first move you can make. Something like 60 percent of the people in the world who are HIV positive have no idea. That means they aren’t getting the treatment they need and they are spreading the disease unknowingly. Scary thought isn’t it? I guess I still didn’t find the words to explain WHY this is so important to me. I wish I knew. I just know that for a very long time, it’s something that caught my attention and I want to do anything I can to spread the word about HIV awareness and to help end the stigma attached to it. I’ve always been known for sticking my nose into things, so maybe this is a good way for me to use that “unique” skill set that I have. And I guess I care because people are still dying and it’s something we all should care about.